The Indian Cultural Society and the Birmingham Museum of Art (BMA) present an evening in honor of Mahatma Gandhi’s birthday, Gandhi Jayanti (officially October 2) on October 17, 2014, 7-9 p.m. at the Museum. The evening begins with a program honoring student participants in the Gandhi Jayanti poster and essay contest. Following the poster contest, BMA will hold its quarterly BMA Speaks spoken word event. 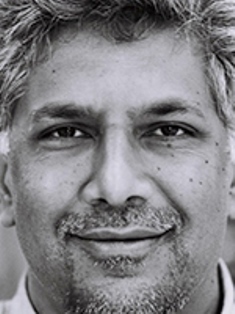 During BMA Speaks, the museum will welcome Vijay Seshadri, a Pulitzer Prize-winner poet. Seshadri was born in Bangalore, India, in 1954 and came to America at the age of five. He grew up in Columbus, Ohio, where his father taught chemistry at Ohio State University. His poetry collections include 3 Sections (Graywolf Press, 2013), which won the Pulitzer Prize for Poetry; The Long Meadow (Graywolf Press, 2004), which won the James Laughling Award; and Wild Kingdom (1996). His poems, essays, and reviews have appeared in The Nation, The New Yorker, The Paris Review, and the Times Book Review, among others. Seshadri holds a BA from Oberlin College and an MFA from Columbia University. He currently teaches poetry and nonfiction writing at Sarah Lawrence College, where he has held the Michele Tolela Myers Chair. He lives in Brooklyn with his wife and son. 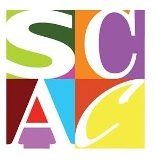 BMA offers special thanks to its sponsors: the Indian Cultural Society, the Alabama Humanities Foundation, the Alabama State Arts Council, and the Alabama Writers’ Forum.